[toc]Periods are one of the tough challenges that women face on a monthly basis. Painful cramps, bloating and body ache are some of the common problems faced during periods. Irregular periods and heavy menstrual bleeding are some of the key difficulties encountered during menstruation. Periods can be a difficult time for many. Herbs can help you to overcome some of these difficulties. 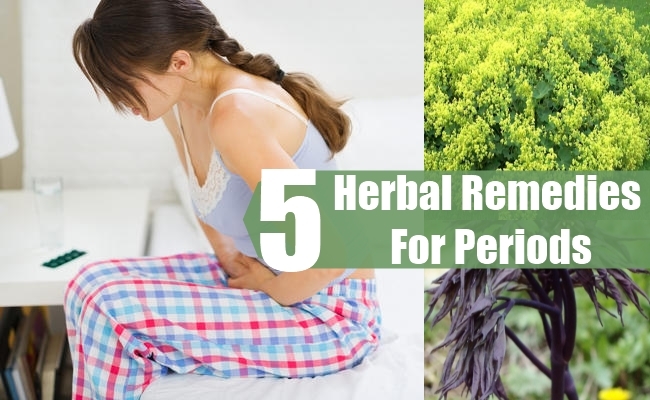 Herbal remedies for periods include Lady’s Mantle, Chasteberry, Shepherd’s Purse, Yarrow, Motherwort, Black Clover, Turmeric, Winter Cherry, Oregon Grape, Evening Primrose, Blue Cohosh, , Black Current, Dong Quai, , Wild Yam Licorice and Borage. In this article, we will discuss some of the top herbal remedies for periods. Please consult your doctor before using any of these herbal remedies. Alchemilla Vulgaris is the botanical name bestowed upon this herb. This herb is anti-spasmodic so it eliminates pain during periods. It also improves menstrual flow by harmonizing the hormonal levels in the body. Lady’s Mantle fends off menstrual irregularities. It is a good cure for disorders pertaining to menstruation such as amenorrhea and menorrhagia. It is vital improving the regularity of ovulation and promoting healthy menstruation. This herb is rich in tannins which prevent irregular menstrual periods. The herb also contains salicyclic acid which prevents menstrual cramping and stress induced heavy periods. Caulophyllum Thalictroides is the botanical name of this herb. This herb is an emmenagogue, meaning that it can stimulate and regulate menstrual flow and prevent menstrual irregularities in women. Pregnant women should avoid using this herb. 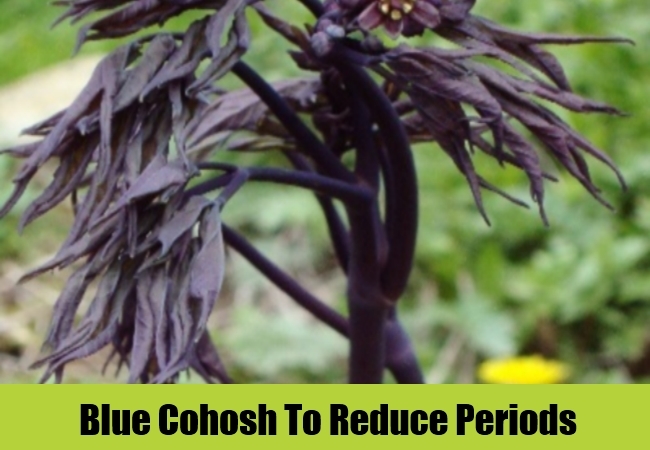 Blue Cohosh is very beneficial for healing many of the complications faced during periods.It is also called Beechdrops, Blue Ginseng, Papoose Root, Squawroot and Blueberry Root. This herb originated in North America. This herb can be taken as an extract or a tincture. It can also be taken as a supplement for beneficial outcomes. Shepherd’s Purse is also called Chinese Cress. This herb should be taken in extract or tincture form for good results. This herb tones the reproductive system and ensures stability of hormonal levels thereby enabling regularity in menstruation. Capsella bursa-pastoris is the botanical name given to this herb. Shepherd’s Sprout, Lady’s Purse, and Case Weed are other names of this herb. Shepherd’s Purse is a natural astringent. Therefore, it constricts blood vessels and lessens heavy flow. It also tones the uterus and corrects menstrual irregularities. Rubus Idaeus is the botanical name given to herb. 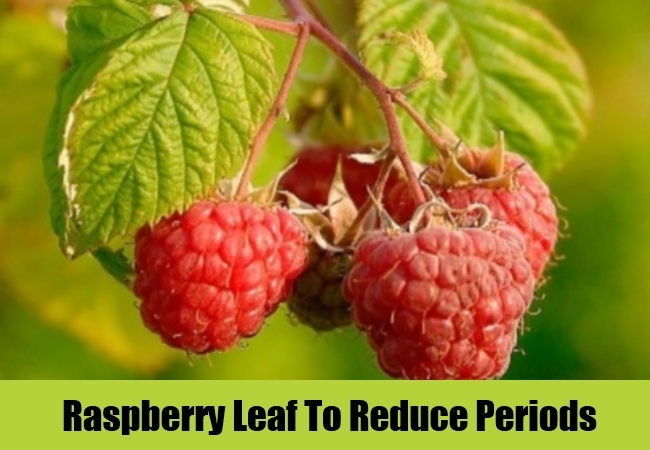 You can drink Raspberry Leaf tea for healing painful, heavy or irregular periods. This herb contains phytoestrogens which also help to balance estrogen levels in the body and ensure healthy periods.It ensures regular menstrual cycles and helps to improve the uterine health. This herb is also good for stemming excessive menstrual flow. This herb reduces blood flow by constricting the blood vessels. It has astringent properties. This herb is also good for preventing cramps due to periods. It is also called Red Raspberry. 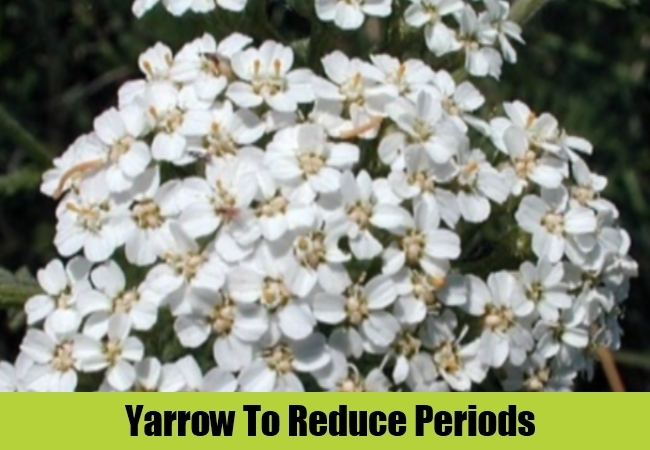 Yarrow contains tannins which reduce excessive menstruation in women. These chemical compounds help to restrict the blood flow. Therefore, heavy menstrual bleeding can be cured by using this herbal remedy. Drink tea brewed from fresh Yarrow leaves for alleviating heavy bleeding during menstruation. Achillea Millefolium is the botanical name of this herb, after mythical Greek hero Achilles who used this herb to stop heavy bleeding in injured soldiers in times of battle. This herb is called Soldier’s Friend due to this reason.